As we know, recipes are designed in a specific way to make the cooking process as easy as possible. It begins with an ingredient list and then follows with step-by-step instructions. In the ingredient list, in addition to the actual ingredient needed, some recipes include instructions of what to do with those ingredients—before you even start cooking the dish—such as "1 onion, chopped," "2 cloves garlic, minced," and "1 egg, lightly beaten." But you may also come across a directive that says "divided," as in "3 cups of shredded cheese, divided." This is more of a heads up versus a specific action you need to take when prepping the ingredients. It simply means the ingredient will be added to the recipe in parts and not in the entire measurement listed. This is because a recipe that is properly formatted will not list the same ingredient more than once in the ingredient list unless the list is separated into sections. For example, a recipe for a pie may require you to add sugar to the pie crust as well as the filling. 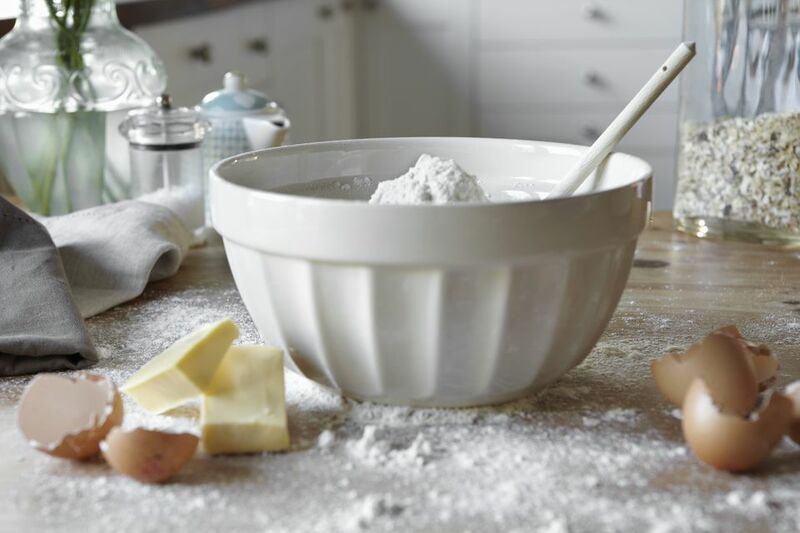 If the ingredients for the pastry dough are separate from the filling then it is ok to list the sugar twice; but, if there is one ongoing list, then the sugar needs to be listed once, and the cook needs to be told that the entire measurement will not be used all at the same time. This is why it is always a good idea to read the recipe from start to finish before beginning, for clarity as well as to set expectations. Almost any ingredient can be listed with "divided" afterward. Some recipes require you to layer ingredients, or there may be two components to a recipe that share the same ingredients, so you will need to add only a portion of the total at a time. A good example of this is in a macaroni and cheese recipe, where you might see "6 tablespoons butter, divided;" the first 4 tablespoons of butter will be used to make the cheese sauce, and the remaining 2 tablespoons will be used to make the buttered breadcrumbs. Another good example is a recipe for Hoppin' John, a Southern specialty of black-eyed peas and ham hocks. Here, the ingredient list says "2 medium onions, divided;" one onion is used at the very beginning of the recipe (and then discarded), and the second onion is minced and added at the end. If you would still like to get a feel for how this cooking directive works, three good recipes to look at are skillet beef stroganoff, brown rice and mushroom risotto, and an easy breakfast casserole with sausage and potatoes. Alternatives to the Word "Divided"
Recipe formatting is often a matter of the author's taste or the publisher's style, so even though you may be dividing an ingredient in a recipe, it may not be listed that way. Some ingredient lists may actually spell it out for you, such as "1/2 cup plus 1/4 cup flour." Others may say something like "add half of the milk and bring to a simmer," and then later in the recipe tell you to "add the remaining milk." No matter how the recipe is written, the most important thing to remember is to take your time, review the recipe before you begin, and check the ingredient list before adding each ingredient to make sure you are putting in the right amount.